PrabhasMyHero Blog: Baahubali heads to Brussels! 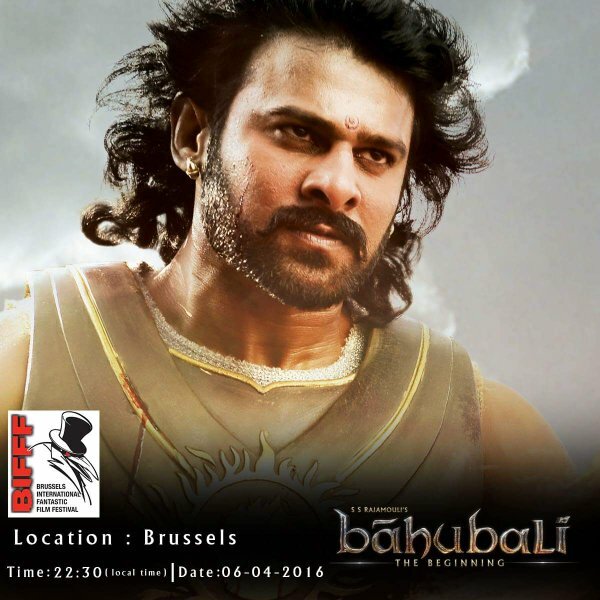 After China, Japan and Germany, Prabhas starrer Baahubali heads to Brussels! Not a day goes by without Baahubali being the part of the news one way or another. After the initial massive success of the SS Rajamouli epic throughout the country, the franchise has expanded its influence on international scale too. The first part of the fantasy saga, Baahubali: the beginning is going to be screened at the Brussels International Fantastic Film Festival on April 6. This festival is a world famous stage for honouring thriller, horror and science fiction films. It was established in 1983 and is an yearly event that usually takes place in March. Baahubali is the only Indian film that represents the country out of the total 110 contenders. The winner of the festival will win the Golden Raven statuette. Notably, Sam Riami’s Evil Dead Army of Darkness won this grand prize back in the day. As happy and honoured as we are that the film is reaching new heights of success, it is a little strange that Baahubali was selected in a film festival filled with thriller and horror films. With its inclusion in BIFFF, the film adds another feather in its cap. First, Baahubali had got a record breaking deal that will expand this fantasy world into serials, video games and comics. Next, the film earned the highest honour in the country, when it won the National Award for Best Feature Film. On the international front, Baahubali defeated Aamir Khan’s PK in terms of number of screens in China. The movie was also released in Germany and Japan. Looks like the film will hold the whole world under its spell one day.